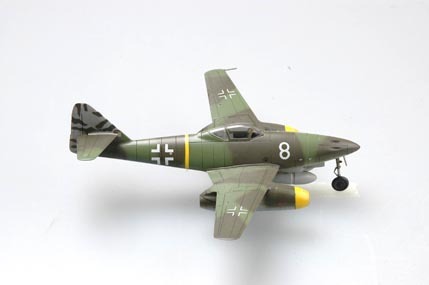 The Messerschmitt Me262 "Swallow" was the world's first operational jet-powered fighter aircraft. Officially named "Swallow", the Allies called it the “Storm bird”. 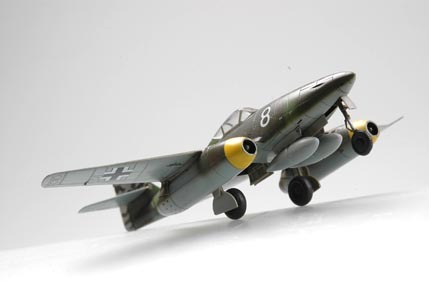 The Me262 had a negligible impact on the course of the WWII, but its design was highly influential on postwar aircraft development. 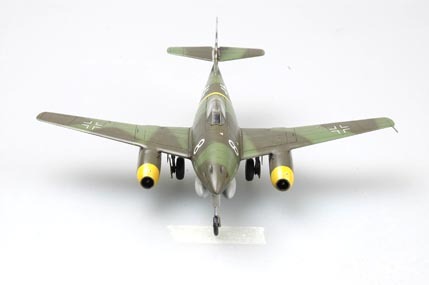 Its first test flight was in 1941, but didn’t see operational service until July1944. 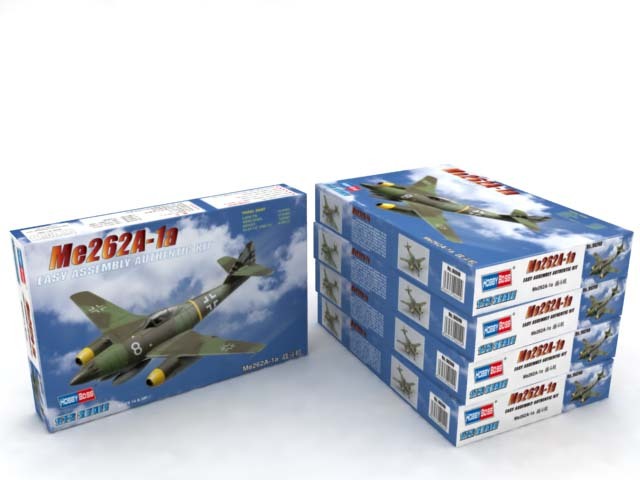 Including all versions, about 1,430 Me262’s were produced. 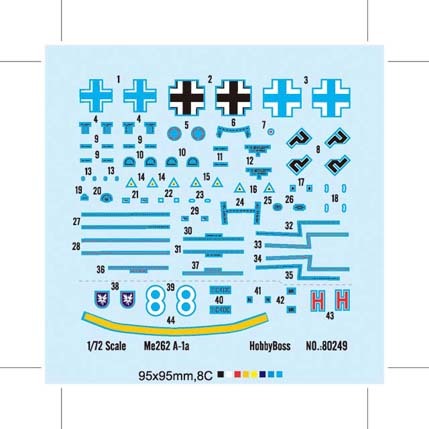 Camouflage Scheme	1) "White 8" Kommando Novotny, November 1944. 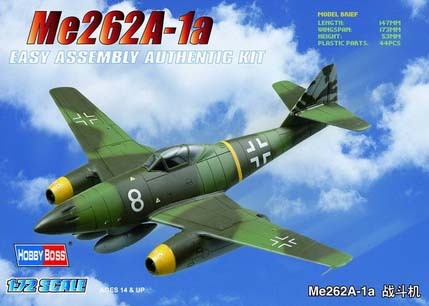 2) Me 262 A-1a. 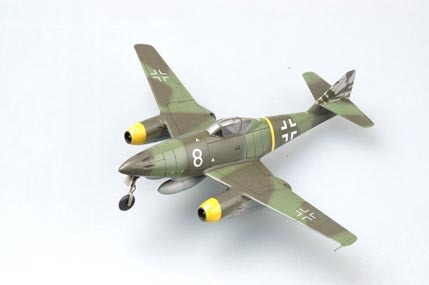 of 9./JG54.